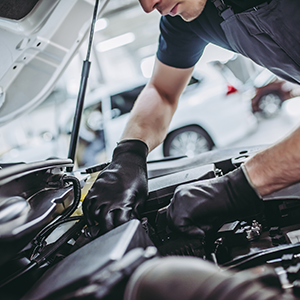 At our certifed Audi service centre in Laval on Montreal's North Shore, we offer a comprehensive array of Audi maintenance and repair services in order to completely satisfy our customers' needs. Our hostess will greet you with a smile upon your arrival and direct you to the appropriate department, whether you're in need of Audi mechanical services or a simple oil change. Enjoy a pastry in our waiting room with Internet connection, or feel free to use one of our special areas reserved for businesspeople who need to work discretely. And if your vehicle will be staying with us, we offer a limousine service and a fleet of 42 courtesy cars - we never leave our customers high and dry. Don't hesitate to contact us to schedule a service appointment in our Audi service department in Laval at a time that is convenient for you. We believe that a company should give back to the community that supports it, and that's why we've established several programs that contribute to the well-being of our society and the environment we share, such as the recycling of paper and used motor oil. At Audi Lauzon, we have our customers' welfare at heart. Audi Lauzon Laval takes your privacy seriously and does not rent or sell your personal information to third parties without your consent.